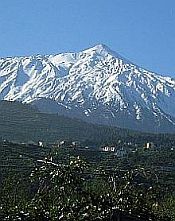 Tegueste, which is a name from the original Guanche, is a small town in the north east of Tenerife. 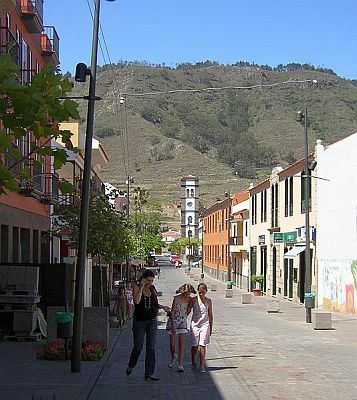 It is completely surrounded by the municipality of La Laguna and is the only town and region with no coastline. Its geographical features, such as pastures and forests, coupled with an abundance of water, result in its mainly agricultural economy, with cattle rearing being prominent. More recently, its urban area has grown and has developed some highly desirable residential areas. At the end of April, every year, the town celebrates the fiesta known as the Romería de San Marcos. This is considered one of the most important festivals on the island and thousands of Tinerfeños make the pilgimage there. It is a week-long celebration, with traditional Canarian costumes, music and dance, culminating in a procession of boats and ox carts, all brightly decorated. The final act is the burning of a straw effigy dressed in old clothes, while the onlookers shout insults at it! The picturesque St Mark's Square is right in the centre of the town, overlooked by the church and the town hall. This extraordinary building has been made to look like a sailing ship, with no less than three masts, soaring into the sky. It is visible for miles around. Apart from the Festival, this is generally a quiet, peaceful town!